Pacific Wings’ UK correspondent, Peter Cooper, crossed the Atlantic to visit the world’s biggest helicopter industry get-together—the Helicopter Association International’s Heli Expo. Simon Spencer-Bower is the world’s highest time Robinson R22 pilot and a safety-award-winning flight instructor. He offers a new perspective on the dreaded phenomenon of low-g “mast bumping” that can affect two-bladed helicopters with teetering rotors. Have we been wrong about it for years? The world’s newest airliner from Airbus—the A350 XWB—is now a flying reality and is on track to meet all of its design and production schedules. Pacific Wings was in France to see the new plane (and its most beautiful wings in the world) only days before its first flight. 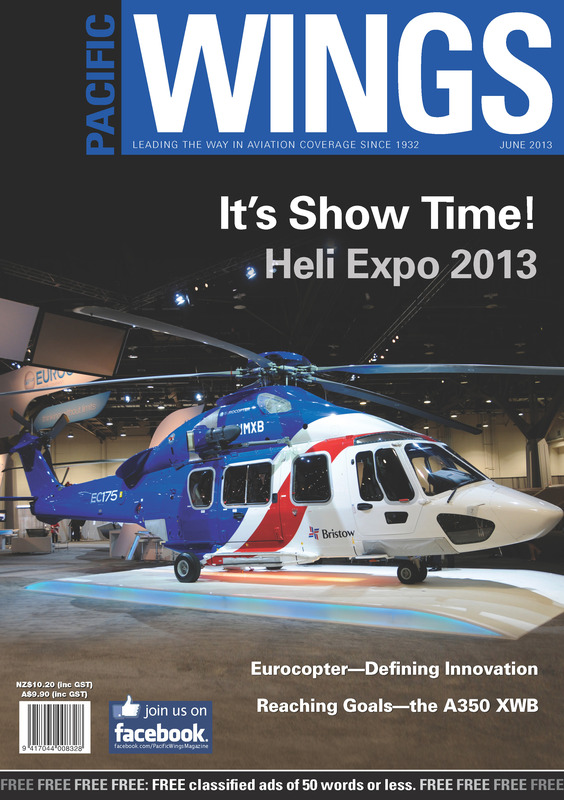 As Rob Neil discovered, “innovation” is more than just a buzzword for Eurocopter, the European helicopter manufacturer with world-leading vision and drive—and sales figures to vindicate its operating model. A strategic airlifter or a tactical airlifter—or both? The A400M will revolutionise thinking about military airlift and change the way military planners conduct their business. Rob Neil revisits the A400M with an update on progress and delivery schedules. Paul Sortehaug continues his series of articles on New Zealand’s air aces with the story of Wing Commander John Milne Checketts.